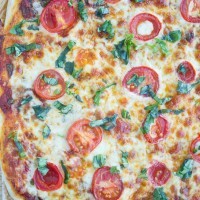 A pizza Margherita recipe is a timeless favorite and a real classic. One of the best flavors and all colors of Italy in your plate. 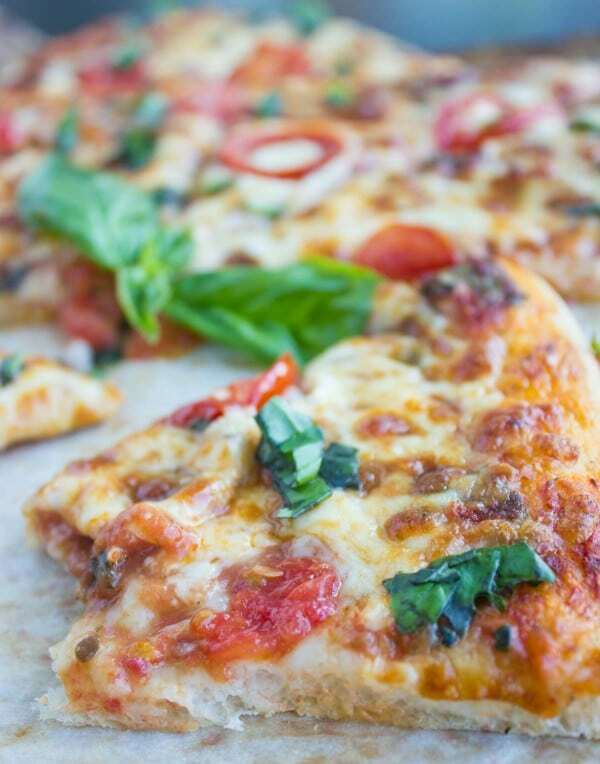 This pizza is easy to prepare in advance, and can be made your own if you prefer to jazz it up with extra toppings. 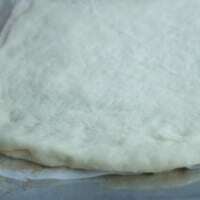 Have the crust as thin or thick and as crispy as your heart desires! 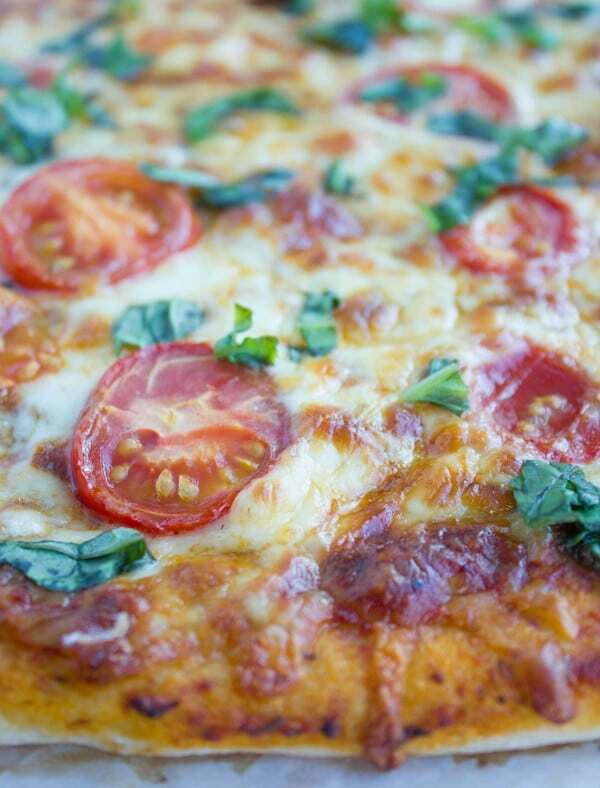 Skip take out for today and get the tips, tricks and BEST pizza Margherita recipe to make! 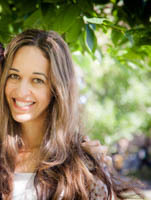 This is a super quick post. 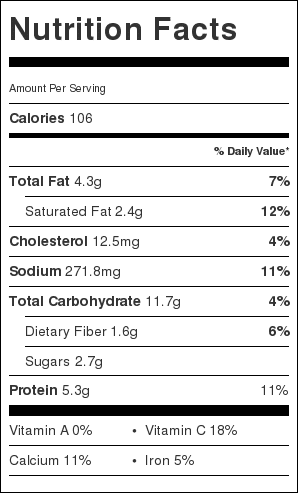 A real classic which I feel is sometimes overlooked among the many endless variations of gourmet pizzas. And while I can’t deny I love twisting recipes left right and center ( the most recent one squash basil amaretti lasagna) I also love the REAL DEAL classics. 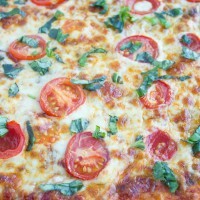 Now that you’ve got all the basics, here are the photos for ultimate Pizza Margherita perfection! So you’ve got the dough, the sauce, finally all you need is good quality pizza mozzarella cheese to top this pizza. You can try fresh buffalo mozzarella, which is really good too. It isn’t my preference because (in my opinion) it contains a high moisture content and works best in commercial, wood or coal pizza ovens. I love to top my cheese with thin slices of baby tomatoes, and when the pizza is done I love to sprinkle some minced fresh basil.. 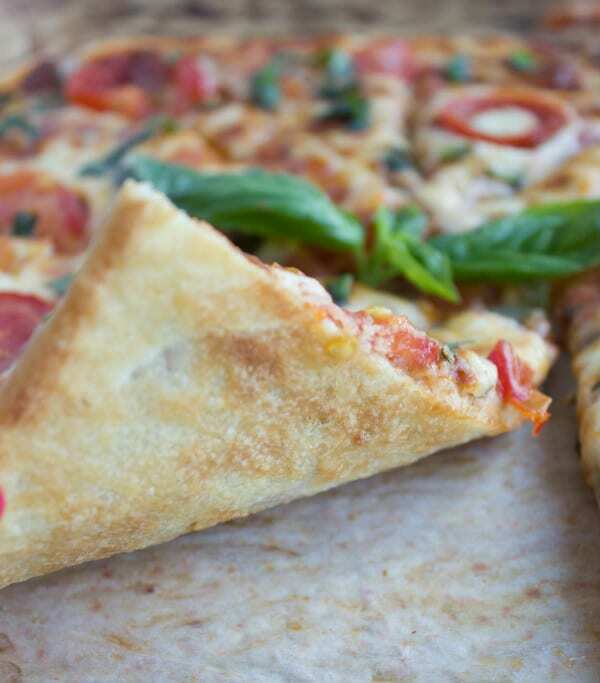 This is a perfect slice for me, golden and very crispy edges and bottom, very airy and soft texture on the inside, loaded with sauce, basil and cheese. Enjoy! Now take these basics and play around with any topping you love, store the dough and sauce so busy nights when you crave pizza! Or use the same dough and sauce to make these crowd pleasing pizza popcorn bites! If you’re into a more fancy feel–try this gourmet kale mushroom brie pizza. And if you’re into a rustic, different type of pizza using the same dough–try this Turkish pizza Lahmacun which is basically a thin pizza dough topped with a spicy lamb/beef mixture, and when baked, it’s topped with feta, fresh mint, onions, tomatoes and rolled up into a wrap! Divide the dough in half and roll out the dough to your desired thickness ( and always remember the dough will puff up to about twice it’s thickness while baking). Let the dough sit covered for about 10 minutes. 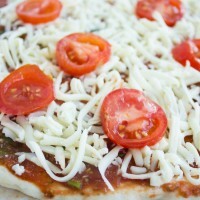 Spread the dough with the easiest no cook pizza sauce and sprinkle a generous amount of cheese on top. Place the sliced tomatoes on top of the cheese and bake your pizza for about 10-15 minutes (depending on the thickness and size of your dough). 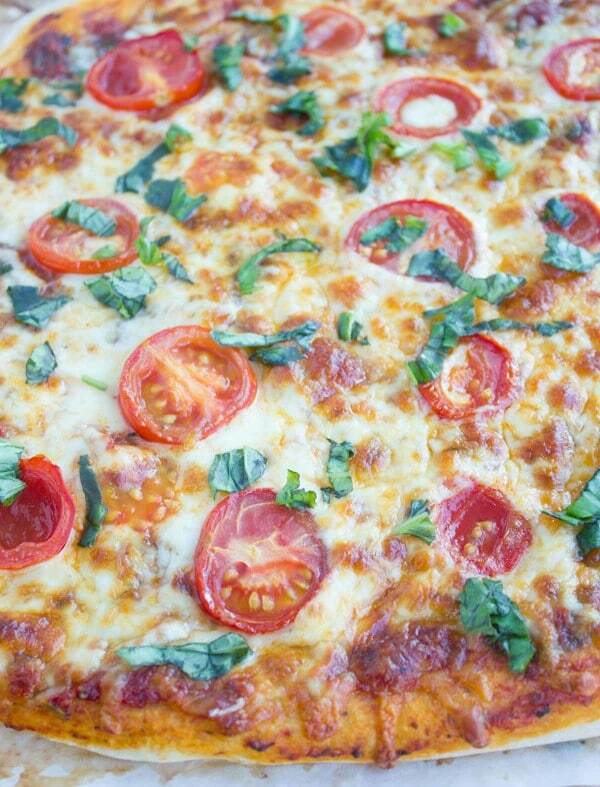 When the pizza is done, sprinkle it with the minced basil and enjoy!